Find a 2015 criminal justice Internship in Erie, PA. While you may not be recreating scenes from Law & Order: Special Victims Unit or CSI, criminal justice internships do call on students to be advocates, victim service providers, or community liaisons. Interns in criminal justice receive training that translates to a variety of careers in law enforcement; the students of today are the uniformed officers, investigators, technicians, analysts, and examiners of tomorrow. Whatever your role, you’ll find positions at the local, state, and federal level. Criminal justice interns, for example, may become corporate security employees, analyzing and documenting current business processes. With a background in information technology or computer science, you’ll be responsible for cyber security and support project managers with documentation. 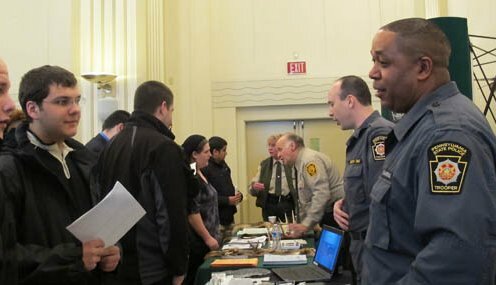 Opportunities for internships in criminal justice also abound in the nonprofit sector. For instance, work at a court advocacy program for the underserved and learn to take on a management role as you recruit, train, and supervise volunteers. Meet directly with clients and liaise between victims and advocacy groups. Because interns in criminal justice have an understanding of legal systems, drug and alcohol issues, psychology, and social work, their skills are applicable—and desirable—to an array of employers. For many organizations, the ability to serve the public, enforce the law, and conduct research are crucial additions to the team.